Looking for an online casino that offers a wealth of games to choose from? Want to play real money online casino games without having to shell all your hard earned money? If you have answered yes to both questions, then Captain Cooks casino might be the one for you. Players in search of an online gambling site that offers attractive sign-up bonuses could benefit handsomely by choosing Captain Cooks. For a mere $5 deposit, new players automatically receive 100 Free Chances to win the jackpot. 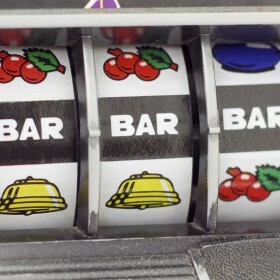 The bonus allows players to make at least 100 bets of $0.25 each at the progressive slot games. That’s 100 chances of earning big bucks for a very low amount. Players only need to download the software, deposit $5 and claim their 100 chances of winning the jackpots. And if that isn’t enough, Captain Cooks Casino also offers generous match deposit bonuses. On top of getting 100 chances to win big prizes, players can play more games than what they have paid for with the match deposit bonus offerings. Captain Cooks is absolutely generous in its match deposits for new players. The online gambling site offers to match the first four initial deposits of its new players. After playing with the first $5 deposit, Captain Cooks Casino gives out a 100 percent match deposit for amounts up $100 on the player’s second deposit. On the third deposit, players receive a 50 percent match deposit of up to $150. A 25 percent match deposit is given on the fourth deposit of up to $125. And players receive another 100 percent match bonus of the fifth deposit of up to $100. Now that’s definitely more chances of winning for less money. 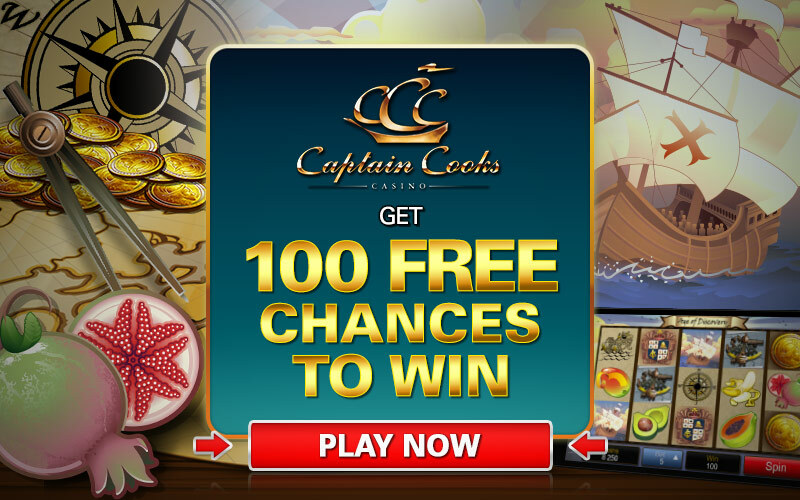 Captain Cooks believes in rewarding its loyal clients via their loyalty program Casino Rewards. Players can accumulate 100 points and receive a chip in return. Monthly promotions are being offered to players to increase their loyalty points in their accounts,. And players can easily claim their loyalty rewards and will see a redeem button upon reaching the required points. The amounts are credited to the players account in just a few minutes. Want to play roulette, blackjack, slots and video poker games? Captain Cooks Casino has them all. Players can choose from a big selection of online casino games as it boasts of 510 games. 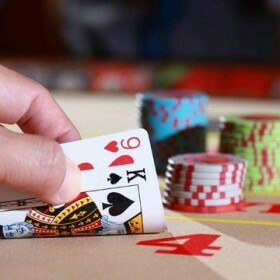 Movie buffs who want to see some of their favorite films as themes in casino games will be happy with the online slots selection of this casino. Captain Cooks Casino has online slots games featuring some blockbuster movies. 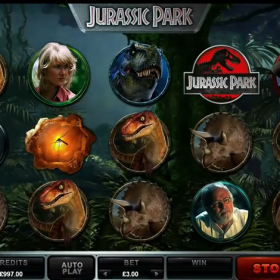 You may want to try your hand at the Jurassic ParkTM themed slot or feel girly in the BridesmaidsTM online slot. 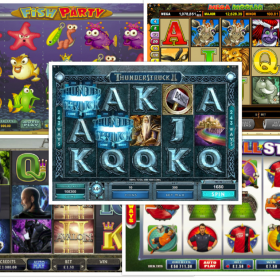 Game of ThroneTM fans will surely love the online slot with the same theme offered by this gambling site. New players may also want to try their luck with the Mega Moolah, Thunderstruck II, European Roulette, Immortal Romance games since they are some of the most popular online games in the site. Scared of being cheated in the games? Play happily, safely and have fun without worrying. All of the results are public on Captain Cook Casino and audited by independent auditors to ensure the fairness of the games. Captain Cooks Casino offers a variety of payment options for the convenience of its players. Deposits can be made via MasterCard and Visa Credit Cards; Maestro, Visa, Electron and Entropay debit cards; e-Wallets including NETELLER, Oiwi, Skrill and Paypal; direct bank transfers and PaySafeCard pre-paid vouchers. Captain Cooks Casino players can rest easy about providing their sensitive financial information, too. It uses the 128-bit encryption software that’s widely used to ensure the safety of payments and information. Customer support is easily accessible. Available 24/7, players can either call, email or have a live chat with customer service representatives. Players can also leave an email requesting for a callback from a representative, saving them both time and money on the applicable call rates.